“Russian tourism market is viewed as a sea of opportunity for expanding tourism business to many external countries or regions including Africa, unfortunately Africa is a quite challenging destination to sell. Africa is still unknown, although the continent has promising destinations for a large number of Russian tourists,” Natalya Privalenko, Rwanda Tourism Board representative in Russia, explained recently to Buziness Africa. Some diplomatic missions in conjunction with Russian travel agencies have made efforts at prioritizing tourism. The Ethiopian Travel Club (ETC), established under the auspices of the Embassy, has more than 50 Russian tourism agencies and tour operators. The ETC plans to create a website dedicated to Ethiopian holiday attractions, publish Ethiopian guidebooks in Russian language and organize promotional tours more frequently and participate in future tourism exhibitions. 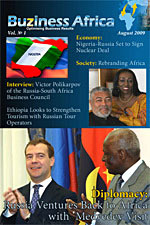 In May 2009, the club was purposefully created primarily to boost tourism and encourage Russian operators to popularize Ethiopia's historical and cultural destinations among Russian vacationers, to discuss problems mitigating against the tourism industry, to share useful data and vital information necessary for the promotion of the industry, and in the process to identify other investment opportunities, but the laudable initiative died after the change over of the diplomatic staff three years later. 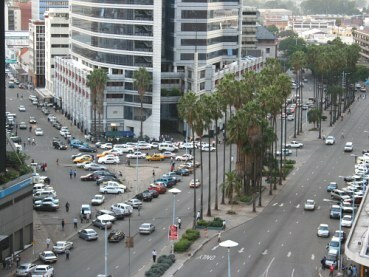 Ethiopia is an east African country rich in history and natural extremes. It is a place where travelers can explore the natural landscape, learn about east African culture and visit archaeological sites, according to Veronica Bierman, General Manager of Exotic Time, a Russian Tourism Agency. The most interesting thing about Ethiopia is that the country is completely exotic in each tiny way. The combination of food, culture, religion, places (from religious and historical meccas in the North to wild tribes of the South), the hospitality of the people, music, landscapes, smells, authenticity and so forth - every little thing amazes or surprises our visitors. All that makes it viable for tourism. To further promote Mauritius as a tourism destination in Russia, Ambassador Thacoor-Sidaya led a delegation of 16 well known Russian tour operators, including the Vice President of the Russian Union Of Travel Industry, Yuriy Aleksandrovich Barzykin, to her country in April 2014. This tour was sponsored by the MTPA (Mauritius Tourism Promotion Authority) and the Emirates Russia. Mauritius is an island nation in the Indian ocean, about 2,000 kilometers (1,200 km) off the southeast coast of the African continent. It possesses a wide range of natural and man-made attractions, enjoys a tropical climate with clear warm sea waters, attractive beaches, tropical fauna and flora complemented by a multi-ethnic and cultural population that is friendly. However, South Africa began to see a steady growth in tourist flows from Russia. In 2013, for instance, South Africa was visited by 13,000 Russians, which was 9% higher than in 2012. But South Africa is also becoming more popular among Russian tourists and they have now entered the top ten of the South African tourist flow for the first time in history. As part of our promotional endeavors, South Africa mission promotes tourism in the Russian Federation by participating regularly in major tourism exhibitions in the Russian Federation, such as the Moscow International Tourism and Trade Exhibition (MITT), holds tourism seminars with tour operators and airlines in Moscow and in other regions and provinces, conducts tourism media breakfast and lunch in collaboration with leading media agencies such as RIA Novosti, now Sputnik News Agency, facilitating familiarization trips and online media advertisements, among many other strategies. But, a few challenges still remain in this tourism business. “The general lack of knowledge and information about South Africa and its offerings in the Russian market makes Russians unaware of the South African market and its opportunities. The absence of direct flights and the perception about the long distance between South Africa and Russia continue to be a challenge,” Fulufhelo Themeli told Buziness Africa interview survey in June. South Africa changed their visa regulations in 2014 meaning that all applicants need to appear in person at the embassy. Considering the size of Russia, this was an ill-advised move in terms of attracting Russian tourists. Furthermore, children now cannot travel to South without an officially translated birth certificate and the written and notarized permission of both parents if they are not travelling with the children. Unfortunately, neighbouring countries such as Namibia, Botswana, Zimbabwe and Zambia, all of which have favourable visa policies to Russia (either no visa necessary or visa upon arrival) have suffered considerably due to their neighbour’s new visa requirements. South Africa even requires transit passengers to hold a valid visa. Victoria Falls in Zimbabwe/Zambia is well known to the Russian market due to the considerable marketing efforts of Sun International (2006-2013). There is hope that the new terminal at Victoria Falls airport, due to open later in 2015 will attract direct long-haul flights, which will make it easier to reach the region without transiting via South Africa. East Africa countries are also attractive to Russians. As a step to further attract foreign tourists, on 1st January 2014, the Governments of Kenya, Rwanda and Uganda launched the single East Africa Tourist Visa. This East Africa Tourist Visa is valid for 90 days and allows multiple entries within the three East African countries and costs USD 100. In November 2011, Kenyan Ambassador Dr. Paul Kurgat told Itar-Tass News Agency that Kenya wanted to increase the tourist flow from Russia up to 100,000 by the year 2015. In order to raise the figures, the Embassy of Kenya has held several corporate events and, headed Kenyan groups and tour agencies to tourism exhibitions organised by Crocus Expo. Kenyan Embassy conducts various promotion and advertising campaigns, offers its assistance to travel companies and takes part in sectoral exhibitions. Under its Tourism Market Diversification Program with the key goal to tap into the emerging markets of Eastern Europe comprising Russia, former Soviet republics, Czech Republic and Poland, the Kenyan official authorities launched a destination marketing Russian language website (the website linked to the www.magicalkenya.com which is Kenya's destination marketing medium) to reach potential tourists among the 140 million Russians. In September 2014, Kenyan Embassy Moscow hosted the latest tourism seminar organised in conjunction with Aviareps Russia, the Russian representative office of the Kenya Tourism Board. The aim of the seminar was to educate Russian travel agents on the Kenya tourism market and enlighten them on the intricacies of selling the destination to their clients. Kenya, lying next to the Indian Ocean, has a major port and an international airport. The city serves as the center of the coastal tourism industry and attracts millions of foreign tourists as a vacationing destination. The bulk of tourists, both from Europe and from the United States, opt to go to Kenya for Christmas holidays to enjoy a piece of sunny summer. 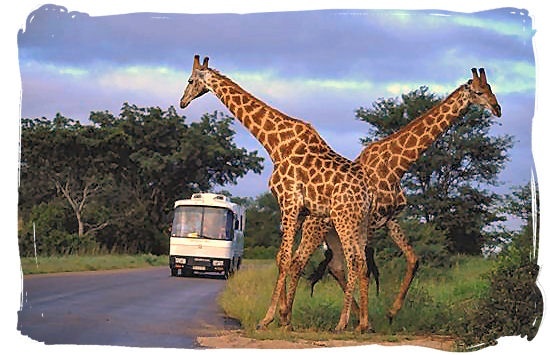 Along with indulging in beach vacations, they go on safari to admire the wonderful African fauna - lions, elephants, buffalos, giraffes and other wild animals inhabiting numerous wildlife reserves. On several occasions, Rwanda has presented tourism to the Russian business community and the public. In July 2015, Rwanda's Ambassador to the Russian Federation, Dr Jeanne d'Arc Mujawamariya, presented Rwanda's investment opportunities to the Moscow Chamber of Commerce and Industry (MCCI). Ambassador Mujawamariya, while sharing with her audience the investment opportunities and business climate, highlighted the growing tourism sector in Rwanda. Earlier, the previous month, Paddington Tucker, advising the Rwanda Tourism Board in Russia, and Natalya Privalenko coordinated an excellent presentation of Rwanda tourism in a special ceremony to tour operators, travel agency directors and the media in Moscow. It was designed as a strategy to boost the promotion of holiday destinations among potential tourists in Russia. Early this year, Alla Travels and Aspera Explorations, both Russian travel agencies, visited Rwanda. 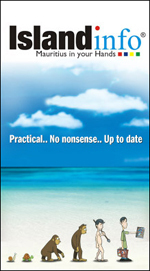 And then started promoting the destination since February 2015. Operators usually promote such small countries, such as Rwanda, together with other countries in East Africa. The Daily Observer and The Point, both Gambian newspapers, have reported that delegations of Russian investors had visited The Gambia with the main objective, among other things, to explore the investment potentials in the country's tourism industry. 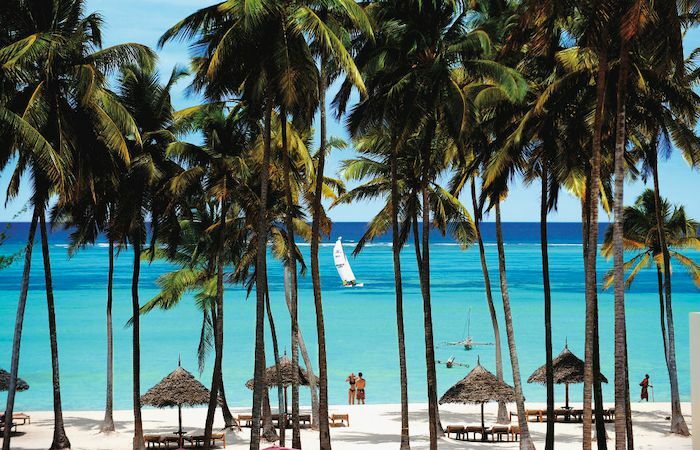 In the media report, Dmitry Gorodenskiy, who headed the group, explained that his team consisted of tour operators and different agents from across Russia that have a considerable wealth of experience in selling destinations, particularly those in Africa such as Kenya, Tanzania, Morocco and South Africa. While the delegation's visit underscored the importance of the Russian market to The Gambia and what the tourists and investors stand to gain in the destination, it is only reassuring that efforts have been made, at least, in the drive towards promoting the local destination in new markets such as Russia and the former Soviet republics. Despite being the smallest country within mainland Africa, The Gambia is more than just a beach destination, the river Gambia has historically attracted visitors to its magnificent estuary and meandering waterways. Today, the river is the natural habitat to hippos and over 500 species of birds. River cruises are one of the most effective ways of exploring the country and offer visitors the chance to observe wildlife, explore the mangroves and visit river villages. The Republics of Benin, Gambia, Ghana, Senegal and Togo could be popular destinations if consistent efforts have been made, at least, over the past decade to promote their country's tourism potentials among Russians. Despite the attractive elongated sandy Atlantic coastline, West African countries are the least active, in fact extremely slow, in promoting their tourism destinations in Russia and throughout the ex-Soviet republics. 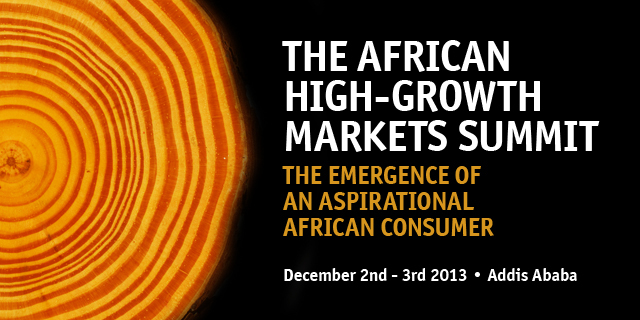 For a long time, the west African countries have depended on traditional markets - the United States, the UK and Western Europe. In their strategic plan, these countries need to redesign, diversify and facilitate development and promotion of sports, cultural, conference and traditional shopping tourism as additional products in line with the changing travel trends and patterns. Egypt (number one and the most popular), Morocco, Mauritania and Tunisia are Russians' choice in north Africa. In May this year, the Egyptian Tourism Minister Khaled Abbas Rami said that Egypt received more than 3 million tourists from Russia in 2014, which was 400,000 more than in the previous year. The country remains one of the most desirable destinations for Russian tourists. Egypt has launched a major advertising campaign in 27 countries to double the number of tourists visiting to the country. In addition to the traditional attractions, the authorities have unveiled plans to introduce religious tours to Christian holy places, classical tours, as well as desert, spa and golf tours. Globally, Egypt received 9.9 million tourists in 2014. By 2020, it plans to double this number and receive 20 million yearly. The tourism sector accounts for 11.3 percent of the economy in Egypt.